Aerospace and other systems usually have spherical tanks, as the most optimal in terms of weight ratio. The functional units of such systems are connected by frames. Consequently, tanks (spherical shells) are loaded locally in them. In this case, the strength of the shell is determined by the stresses in the places of their concentration. The importance of solving the problems of the strength of a spherical shell attracts the attention of researchers in terms of simplifying mathematical models for engineering calculations with controlled error. 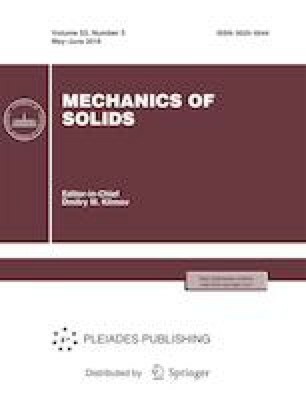 In the article, quantitative criteria for the well-known simplified mathematical models (the theory of shallow shells and asymptotic) are determined for use in solving strength problems with controlled error. Original Russian Text © A.V. Belyaev, Yu.I. Vinogradov, M.V. Konstantinov, 2018, published in Izvestiya Akademii Nauk, Mekhanika Tverdogo Tela, 2018, No. 3, pp. 105–118.